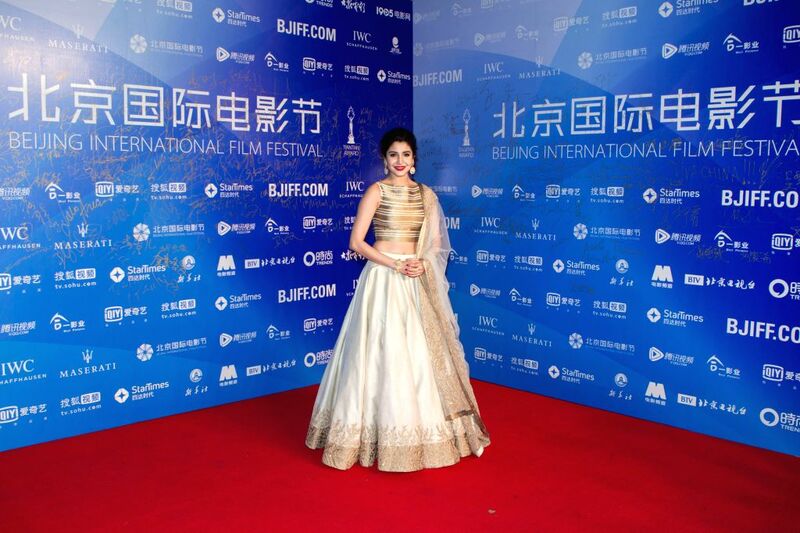 BEIJING, April 20, 2015 - Actress Anushka Sharma attends the premiere ceremony of the film "NH10" for the competition section at the fifth Beijing International Film Festival (BJIFF) in Beijing, capital of China, April 19, 2015. Actress Anushka Sharma interacts with fans during the premiere of the film "NH10" for the competition section at the fifth Beijing International Film Festival (BJIFF) in Beijing, capital of China, April 19, 2015. Director Navdeep Singh (R) and actress Anushka Sharma (C) attend the premiere ceremony of the film "NH10" for the competition section at the fifth Beijing International Film Festival (BJIFF) in Beijing, capital of China, April 19, 2015.